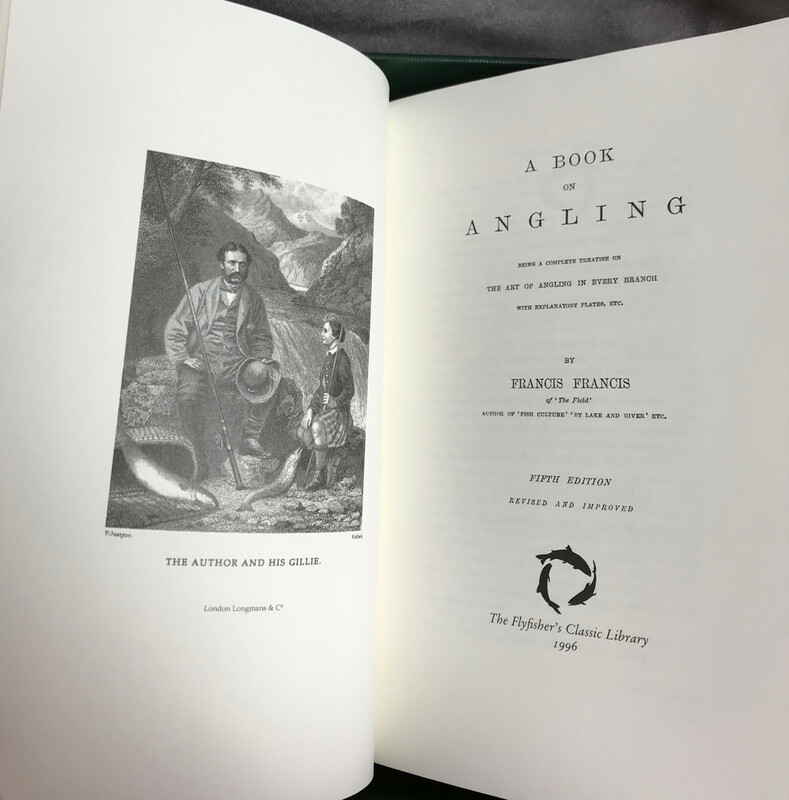 Title: A Book on Angling; being a complete treatise on the Art of Angling in Every Branch with explanatory plates, etc. Notes: LIMITED DELUXE EDITION 1996. 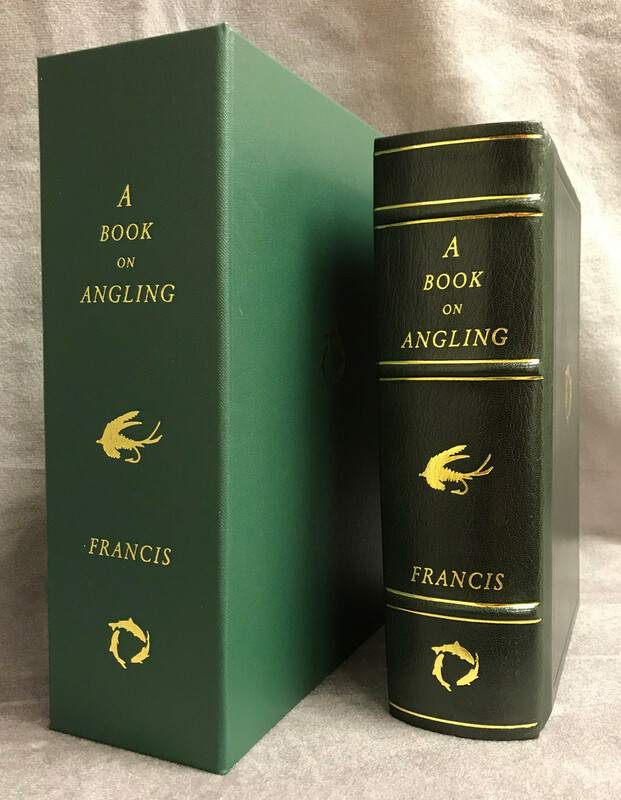 Edition of only 65 copies, this is copy 17. 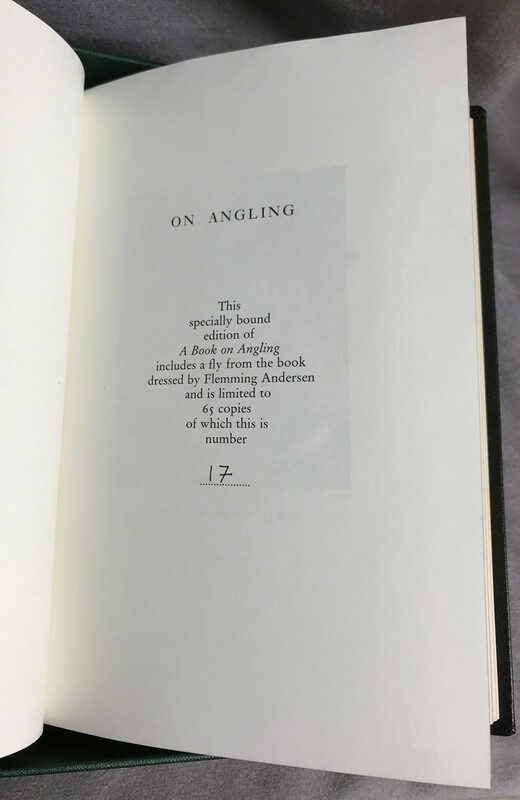 Book is in Fine condition with no noted flaws. Outer box is also Fine. 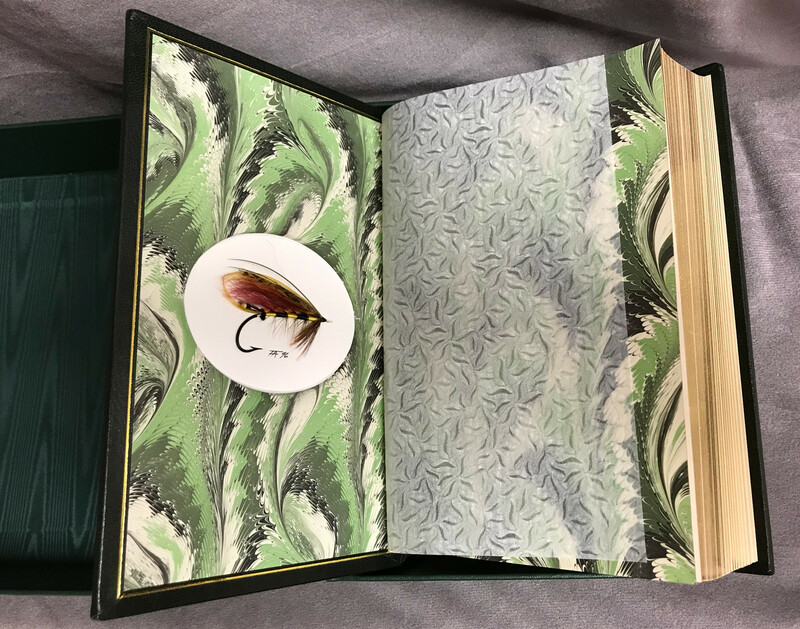 Includes a fly hand-tied by Flemming Andersen, inset on inside front cover with the fly tier's initials in ink and protective textured tissue overlay. Text is printed on archival paper. Approximately 9.5" x 6.5". Black and white frontispiece. 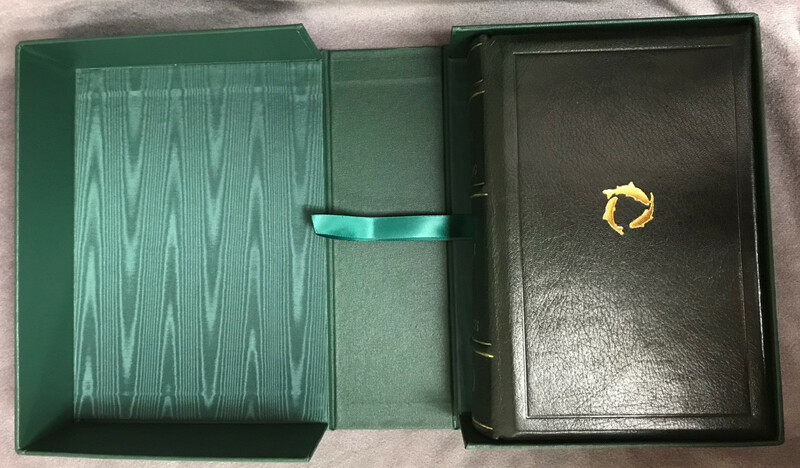 Separately-bound 1920 introduction by Sir Herbert Maxwell, laid in. 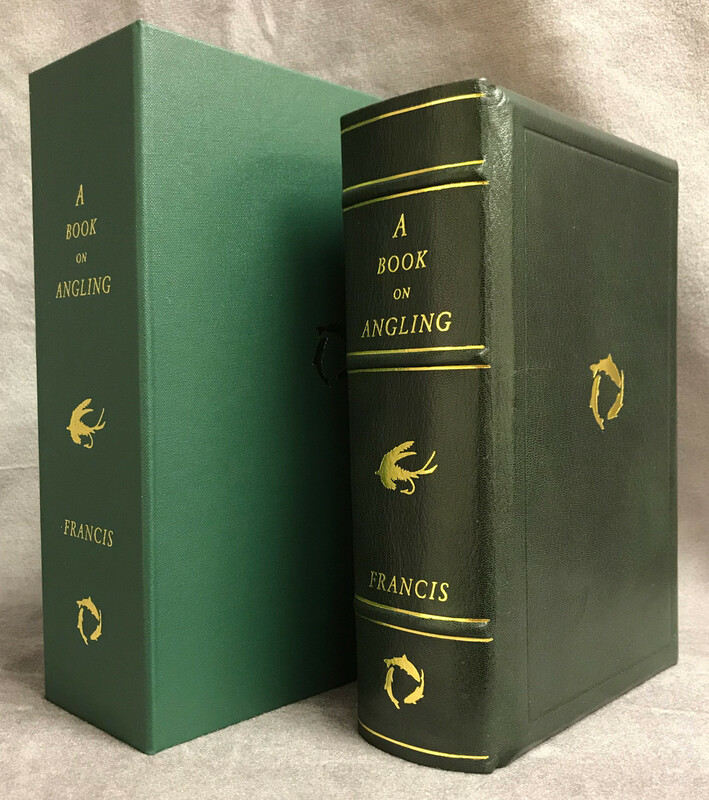 Bound in full publisher's green morocco, gilt lettering, decoration and rules to spine, gilt fish design on front cover, blind rules to edges of front cover, marbled endpapers, all edges gilt, green silk bookmark, housed in a green silk-lined drop-down box with gilt lettering and decoration to spine and embossed gilt fish design on front cover.